Welcome to Broadford on the Scottish Accommodation Guide. Broadford is Skyes second largest village set in the shadow of the Red Cuillins and spreads itself along the southern side of Broadford Bay. The village caters well for the tourists with shops, hotels and colourful craft stalls. 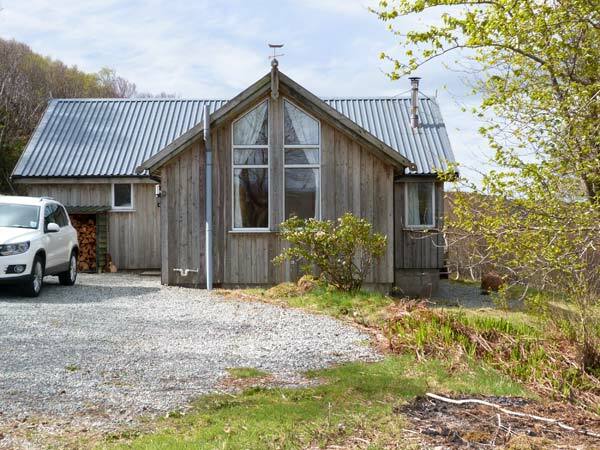 Thorsvik is a detached wooden cottage set in a stunning location, within the hamlet of Tokavaig, 15 miles from Broadford on the Isle of Skye. This cottage sleeps six people in three bedrooms, consisting of two doubles, one of which has an en-suite shower room, and a twin, as well as a family bathroom. The cottage also has a kitchen with dining area and a sitting room. Outside there is ample off road parking and a front decked balcony. Thorsvik is an ideal base for exploring the lovely Isle of Skye and getting away from the hustle and bustle of everyday life. Electric storage and panel heaters. Electric oven, gas hob, microwave, fridge, washing machine, tumble dryer, dishwasher, TV with FreeSat, DVD, selection of books, games and DVDs, telephone, broadband. Electricity inc. in rent. Bed linen and towels inc. in rent. Ample off road parking. Decked balcony to front. Sorry, no pets and no smoking. Shop and pub 10 miles. Coast 10 mins walk. Note: There is no mobile coverage at this property. Note: The woodburner in the sitting area is for decorative purposes only. Three ground floor bedrooms: 2 x king-size double (one with en-suite shower, basin and WC), 1 x family room with 1 double and 1 adult bunks. Ground floor bathroom with bath, separate shower, basin and WC. First floor kitchen with dining area. Utility. First floor sitting room with woodburning stove and pool table. Ground floor snug. 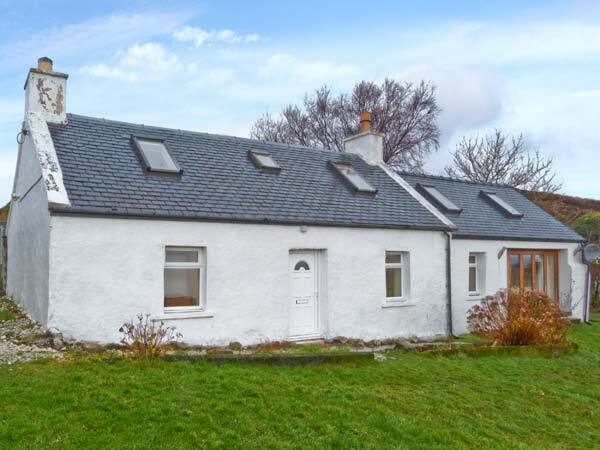 This detached cottage is located near to Broadford on the Isle of Skye and can sleep seven people in three bedrooms. Roselea is a detached cottage on the edge of the village of Broadford on the Isle of Skye. The cottage sleeps seven people in two double bedrooms (one with an en-suite) and a family room along with a family bathroom. On the first floor are a fitted kitchen with a dining area and a sitting room with a pool table and a woodburner, plus there is a ground floor snug. Outside is off road parking and a lawned garden with outdoor furniture. Built in an upside-down format to take advantage of the wonderful views, Roselea is a lovely family holiday home. Oil central heating with woodburning stove. Electric oven and hob, microwave, fridge/freezer, washing machine, tumble dryer, dishwasher, 2 x TVs with basic Sky, Blu-ray, Bluetooth sound system, iPod dock, CD/radio, Nintendo Wii, selection of books, games and DVDs. Fuel, power and starter pack for stove inc. in rent. Bed linen and towels inc. in rent. Cot and highchair on request. Ample off road parking. Bike storage. Lawned garden with furniture. Sorry, no pets and no smoking. Shop and pub 1 mile. Coast 10 mins walk. Note: There is an unfenced burn running along beside the cottage. Electric storage heaters with multi-fuel stove. Electric oven and hob, microwave, fridge, washer/dryer, dishwasher, TV with Sky, DVD, CD/iPod dock with surround sound, pay phone, selection of books, games and DVDs, multi-use games table with snooker/pool/table tennis. Fuel, power and starter pack for stove inc. in rent. Bed linen and towels inc. in rent. Travel cot and highchair on request. Off road parking 3 cars. Front lawned garden. Sorry, no pets and no smoking. Shop 10 miles, hotel with bar 9 mins walk. Harbour 9 mins walk. Note: Double bedrooms have traditional sloping ceilings. Note: The off road parking space beside the cottage is unsuitable for very low vehicles. 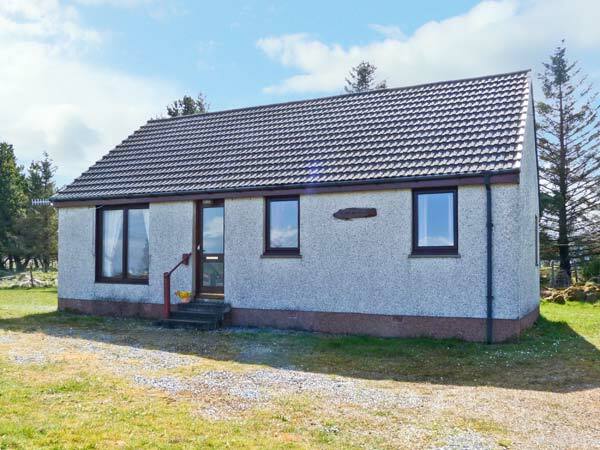 1A Kylerhea is a detached stone cottage in a seaside location in the small village of Kylerhea on the Isle of Skye, 10 miles from Broadford. The cottage is all on the ground floor and sleeps two people in one double bedroom. There is a shower room with shower, basin and WC, a fitted kitchen with breakfast bar and a sitting room with dining table, double sofa bed and woodburning stove. Outside is a lawned garden and ample off road parking is available. With wonderful sea and mountain views and the chance to spot seals sunbathing, 1A Kylerhea makes a great base for a scenic, coastal break on the Isle of Skye. Electric heating with woodburning stove. Electric oven and hob, microwave, fridge/freezer, washing machine, tumble dryer, TV with Freeview, DVD, selection of books and games, WiFi. Fuel, power and starter pack for woodburning stove inc. in rent. Bed linen and towels inc. in rent. Ample off road parking. Lawned garden with outdoor chairs and BBQ. One well-behaved dog welcome. Sorry, no smoking. Shop and pub 10 miles. Coast 1 min walk. Note: This is an unfenced property and due to the proximity of the coast, pets to be supervised. Caladh Na Sith is a detached bungalow in Breakish near Broadford on the Isle of Skye. It has a double, a twin and a single, and a family bathroom. The kitchen has a dining area, and the sitting room has an electric fire and picture windows with views to the sea. Outside is off road parking and an enclosed garden. Caladh Na Sith is a welcoming base for enjoying this peaceful and beautiful Isle. Electric storage heating with electric fire in sitting room. Electric oven and hob, microwave, fridge/freezer, washing machine, TV with Freeview, CD player. Power inc. in rent. Bed linen and towels inc. in rent. Ample off road parking. Enclosed garden. Sorry, no pets and no smoking. Pub 10 mins walk. Shop 1 mile. Telephone: 07375 538 957 - Please mention Scottish Accommodation Guide when calling. 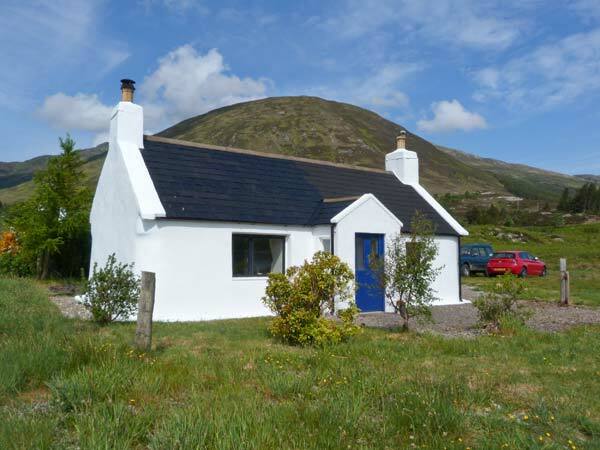 Willowbank is a stunning self-catering holiday cottage located right on the beach in Broadford Bay, on the Isle of Skye. It offers luxury accommodation for up to 8 people plus a travel cot. Enjoy the views from our stunning self-catering cottage located right on the beach in Broadford Bay, on the Isle of Skye. It offers luxury accommodation for up to 8 people plus a travel cot, and while there is plenty of space, the cottage retains a cosy atmosphere and would comfortably accommodate smaller groups. The house has a well-kept garden with direct shore access and views, and is within walking distance of a variety of shops and restaurants. Telephone: 01471 820334 - Please mention Scottish Accommodation Guide when calling. Luib House is 6 miles north of Broadford on the A87. 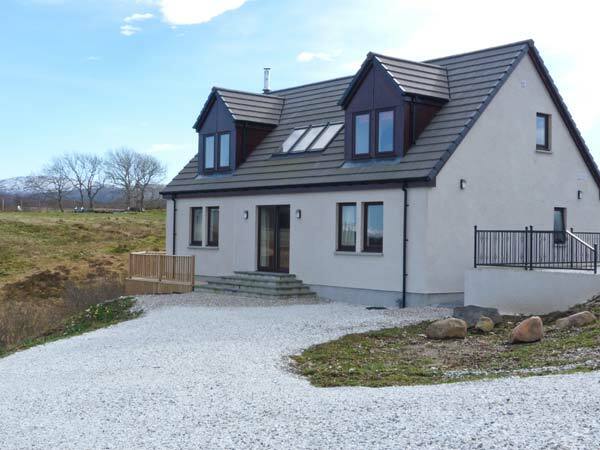 It is a large family house set in the crofting hamlet of Luib It rests in the middle of the Red Cuillin hills & overlooks Lock Ainort with views towards the Isles of Scalpay & Raasay. All the rooms have wonderful views over the loch. We have a large comfortable lounge where guests can relax. We also have a fully equipped kitchen where guests can prepare evening meals for themselves. We have ample safe off road parking. Telephone: 07870 575994 - Please mention Scottish Accommodation Guide when calling. Driftwood bed and breakfast is just a short walk from the shores of Broadford Bay and provides an ideal base for exploring the Isle of Skye and the mainland close by. There are two rooms available. * The Driftwood Room on the ground floor (street level) has a king-size double bed and full en-suite bathroom. * The Driftwood Suite on the first floor (upstairs) has two bedrooms (one with standard double bed and one with twin beds), shower room and private lounge. All rooms have either sea or countryside views, TV, tea/coffee making facilities, refrigerator, ironing facilities and free WiFi. Guests are welcome to use the garden. A laundry service is available (for a small additional charge) to guests staying two nights or more. Breakfast is a continental buffet with something to suit all tastes whether you prefer a light, healthy start to your day or something more substantial. Full menu on website. Driftwood has ample car parking together with secure storage for motorbikes and bicycles. There is also a bus stop nearby for guests using public transport. Please note: We cannot accommodate babies, infants or children under 10 years of age. Property is non-smoking throughout. Sorry, we do not take pets. Telephone: 01471 822954 - Please mention Scottish Accommodation Guide when calling. Friendly bed and breakfast accommodation overlooking Broadford Bay with exceptional facilities for lovers of the great outdoors. Facilities include guest lounge, drying room and free wi-fi.